Cotonou, 14 March 2019: The African Union Commission (AUC), in response to a request by the Republic of Benin, concluded in Cotonou, a three days Consultative Meeting on the Domestication and Implementation of the Arms Trade Treaty (ATT), which was held between 12 and 14 March 2019. 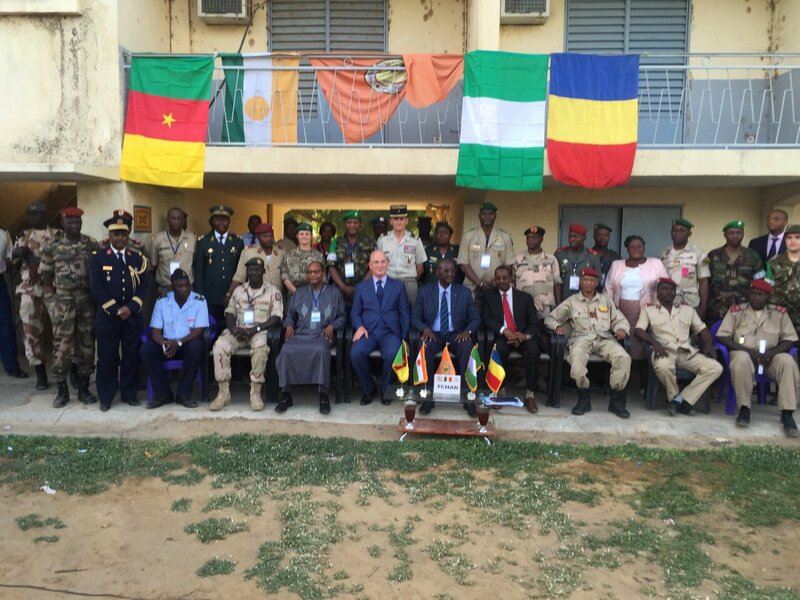 The meeting brought together about 60 officials from the Benin Government, national institutions and civil society among which included; Parliamentarians, senior officials from ministries of Defense, Interior & Public Security, Foreign Affairs, as well as various Law Enforcement Agencies and intelligence services. Other participants were drawn from the Economic Commission of West African States (ECOWAS) Commission and the United Nations African Regional Centre on Peace and Disarmament in Africa (UNREC). The AU Commission also invited Burkina Faso’s High Authority for the Control of Imports of Weapons and their Use’ official to share its experiences. The meeting was opened by H.E Amb. Herve DJOKPE Secretary General of the Ministry of Foreign Affairs. In his statement, he stressed the commitment of the Government of Benin to meeting its obligations under the ATT and also the ECOWAS Convention on Small Arms and Light Weapons, Their Ammunition and Other Related Materials. The Statement delivered on behalf of the AUC pledged continued commitment to support the efforts of the Republic of Benin to put in place the necessary policy and institutional frameworks to support global efforts against irresponsible arms trade and arms diversion, including as part of the AU Master Roadmap for Silencing the Guns in Africa by the year 2020. The meeting raised awareness on the Arms Trade Treaty among the national stakeholders, assessed frameworks that will have to be put in place to ensure its full and effective implementation. The workshop further identified critical synergies and complementarities between Benin’s obligations under the different instruments including; the ECOWAS Convention, Firearms Protocol, UN Program of Action to Prevent, Combat and Eradicate the Illicit Trade in Small Arms and Light Weapons in All its Aspects (UNPoA) and the Arms Trade treaty. In this regard, the meeting agreed on the key steps to be taken by the Republic of Benin, with the support of ECOWAS Commission and the AU Commission. It concluded with mapping out of national stakeholders that should be involved in the ATT implementation in Benin and re-evaluated the overall collective commitment, cooperation and required contribution to realize the Silencing the Guns Master Road Map.